From the time Polegate Community Centre was first opened in May 1969, it was always hoped that the Community Association would have its own licensed Club on the premises. In fact one was incorporated into the original design, to serve into what was then the ‘entrance foyer’, this position however did not meet the approval of the relevant Authorities and after some time the space was converted to other uses. A further attempt was made shortly after, with a small bar, which would be located in a corner of the Lounge. 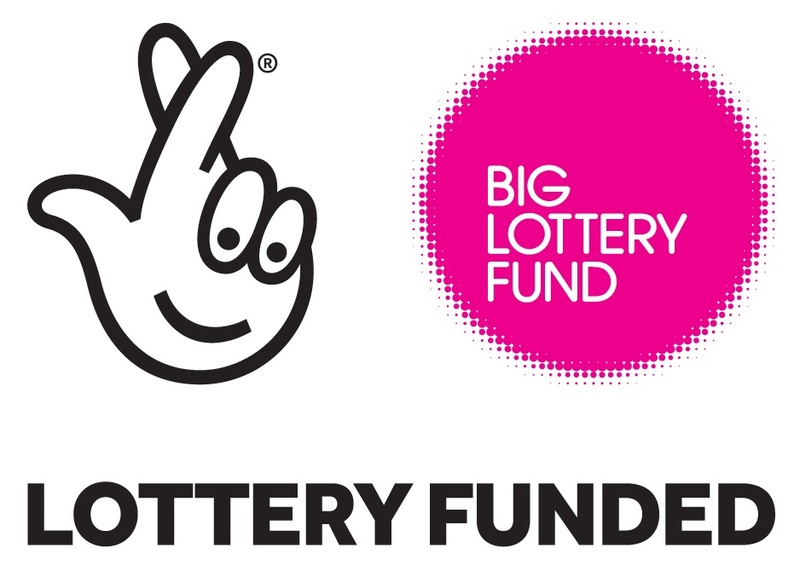 This scheme did receive approval and estimates were obtained for the work, which was the sum of approximately £500, however- at the time the- money could not be found, so the project was shelved once again. In about 1974 the first extensions to the original building were planned and it was during the construction stage of this project that the late Mr Henry Twine, who was President of the Community Association at the time, decided to try again to get a licensed Club, gathering together a steering committee from interested local people, some of whom are still involved. The promise of finance was received from Watney’s Brewery, a Club registration certificate applied for and obtained on September the 10th 1975 from Hailsham Magistrates Court. Jane Hockley, Joan and John Shoesmith and the Warden of the Centre Carl Mullinuex accompanied the Association’s solicitor to court on that occasion. Joan and John Shoesmith are still involved with the Community Association to this day. 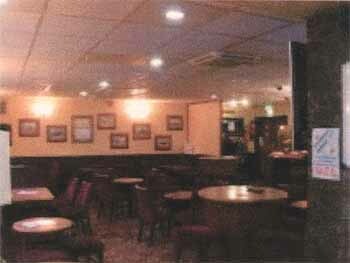 The first Bar now incorporated into the present extension was constructed by Mr Brian Taylor a local building contractor. 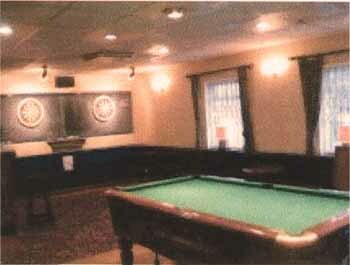 The Club was formally opened on the 21st November 1975 by the area Manager of Watney’s Brewery at that time. Since then the Club (which was a section of the Centre) has formed an integral part of the Community Centre and provided a meeting point and often a welcome place to relax after one of the many meetings that make up the life of an active Community Association. However, time passed and the decor of the Club became shabby in spite of frequent redecorations often carried out by the Committee members in their spare time. The painted brick walls and exposed steel roof beams became an increasing source of irritation to the membership and improvements were called for. A rolling programme of improvements and extensions to the Community Centre as a whole (including the Windsor Club) was planned and implemented. The membership of the Club in the meanwhile waited patiently for their turn in the order of priorities and finally in 1985 fund raising started for the project, out standings permissions were sought and granted, further financial assistance obtained in the form of a loan from Charrington’s Brewery. Construction commenced in March 1987 by J.H. Payne & Sons Ltd., building contractors of Hailsham. Once the building was complete, the AA Design Partnership, Interior Designers of Nutley during the first week in October, furnished the room to a high standard to a specification. In 1990 Brian Watkinson outlined an Electronic entry system for the Club, this was updated in 1997 for the entry system we now have today. In the late 70’s a football team was formed, playing friendly matches against local teams. 1992 saw the advent of a Cricket team, who also played friendly matches against the locals. We are not sure how well they did as we no longer appear to have a Cricket or a Football team. (I have since been informed that the Cricket team folded when the members became old enough to play golf.) The Golf section appeared in 1994 and is still going strong. The ladies toilets were refurbished in 1996 after complaints that one toilet was not enough, so thanks to the Community Centre we now have two toilets. In 1997 it was discovered that due to the Charity Commission and their ruling in respect of registered Charities and the sale of alcohol. Because of the ruling by the Charity Commissioners, the Community Association was obliged, in order to protect itself from financial penalty, to sever the relationship between itself and the Windsor Club membership, a relationship it must be said, that was enjoyed by both parties since the Club was formed. There was also a need to put the new relationship on a proper legal footing, therefore, as of the December 1st in 1998 the Windsor Club ceased to be a section of the Community Association, but became tenants of the Association. That meant that we would no longer be able to enjoy the financial protection that the constitution of the PCA previously afforded us and that we are now a ‘Stand Alone’ business with a legal agreement as to our tenancy of the Clubroom, and the payment of rent. Phil Moon and Bruce Margrett carried out a lot of research and wrote many letters regarding the change. One of the first things that the Club did was to become ‘Affiliated’ to the Community Association. In 2001 the Club became a limited’ company with a Managing Director, Director and Company Secretary, this was to protect the Committee should anything happen to the Club. The membership all have a limited by guarantee’ £1 share in the Club. 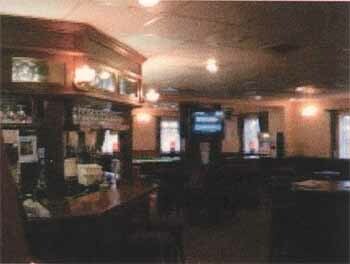 The Club was refurbished in 2003 as it had once again become very shabby and was in need of some TLC. The Ladies and Men’s darts teams are all still going strong, but sadly the Helicopter Club formed in 2004 no longer exists. A new pool team was formed and joined the League in 2002 and in 2007 another team joined the League. Bingo made a re-appearance on Tuesday nights in the Club and was well supported for a time. For some of the Committee and Membership who have been involved with the Community Association since 1969 and before, the Club represented the fulfilment of a dream that at last, the Polegate Community Association had a comfortable and hopefully, welcoming venue for its members and their guests to meet in their leisure moments, alongside the other excellent facilities that the Community Centre had to offer. Long may the association between the PCA and the Club prosper.